Ok, here is something we don’t see every day anymore: someone from a casting show on TV who is actually taken seriously. 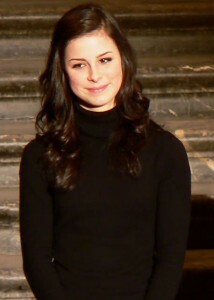 Lena Meyer-Landrut (yeah I know, try to say her name three times really fast) will represent Germany in this year’s Eurovision Song Contest after she succeeded in the respective pre-selection show. The Eurovision Song Contest is an annual competition of live music performances. The different European countries each send a participant, who then tries to win over the audience and jury. Over the past few years German participants performed terribly and usually ended up on the last places. Here is to new hope! This year’s procedure to decide who will enter Eurovision for Germany was the most complex yet, with a total of 8 shows. The winner is an 18-year-old student from Hannover: Lena Meyer-Landrut. And already, she has reached somewhat of a celebrity status, because three of her singles rank among the top 4 of the German single charts in the first week – position 1, 2 and 4, which apparently is a new record in itself. So here is the song she will perform at Eurovision on May 29th. It’s a pretty slimmed-down version if you ask me and her live appearances were much more energetic. It’s still quite catchy, though, and I’m sure she’ll do much better than our entries from the previous years.